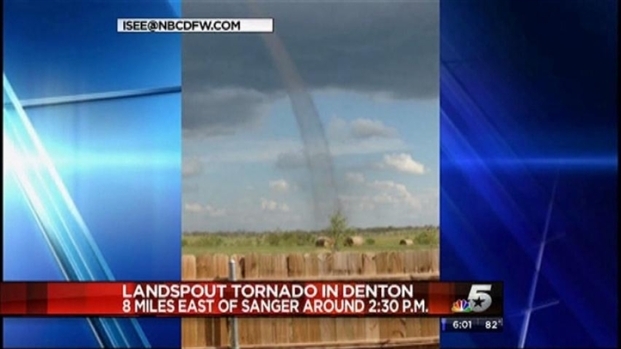 Cameras clicked as a rare landspout tornado crossed parts of Denton County on Saturday afternoon. 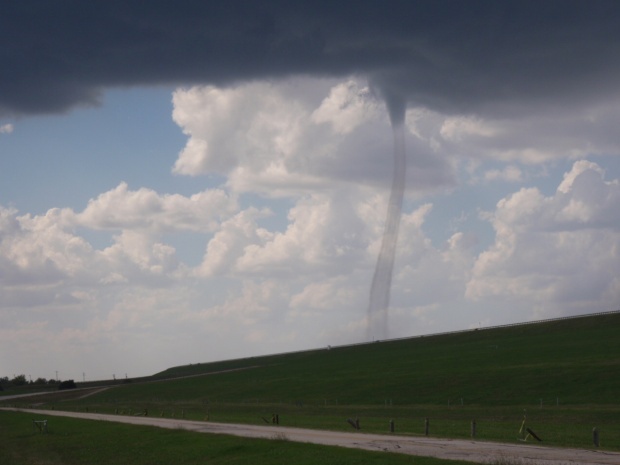 The National Weather Service in Fort Worth said the small twister was reported around 2:35 p.m. A weather observer at the Denton Municipal Airport observed the tornado eight miles east of Sanger. NBC DFW viewers have been sending pictures to isee@nbcdfw.com. So far, no damage or injuries have been reported. Meteorologists said a cold front moved across North Texas on Saturday. 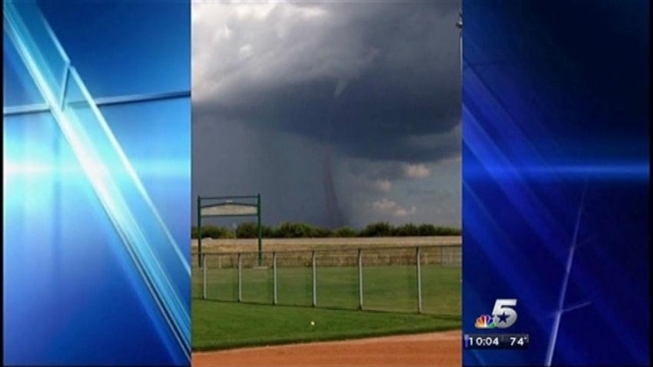 The National Weather Service in Fort Worth said the landspout tornado occured near the front. As soon as the storms produce cold rain at the surface, a landspout tornado will dissipate quickly. STRONG/POWERFUL CIRCULATIONS CAPABLE OF PRODUCING A LOT OF DAMAGE. APPROXIMATELY 5 MINUTES OR LESS."